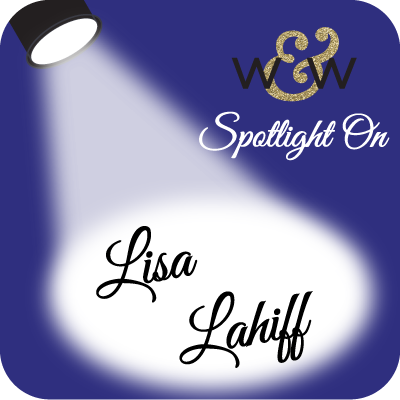 winnie & walter blog: Spotlight on Lisa Lahiff...Part Deux!! We are so happy to have Lisa Lahiff back with us for another stupendous post with an emphasis on the metallic! 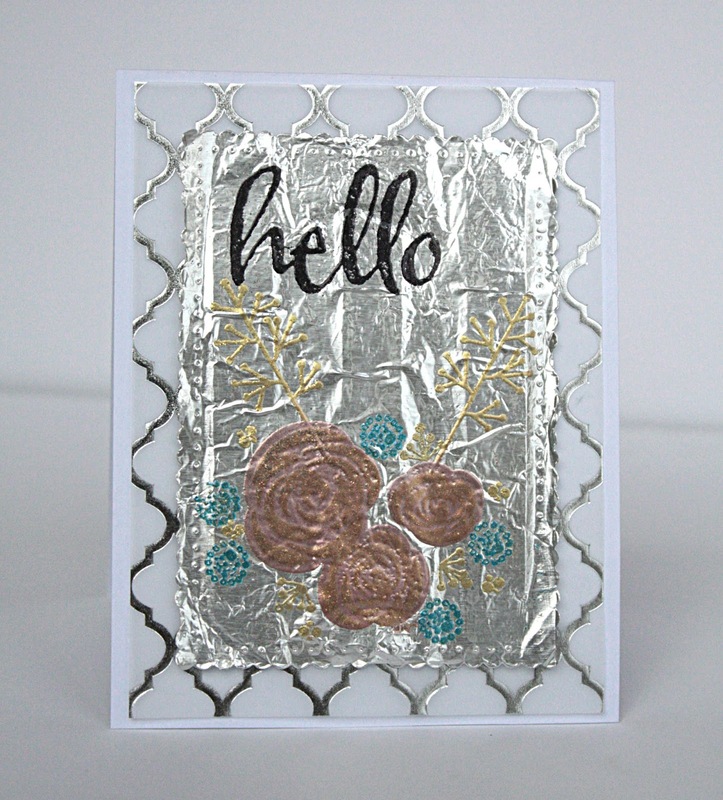 If you missed learning more about Lisa and seeing her first post full of beautiful and innovative metallic projects CLICK HERE! For this first card I had a lot of fun layering up various patterned papers by My Minds Eye for a bright and eclectic background. I then went ahead and ran my In a Word Happy cutaway through my machine three times with three different foiled papers. I love not only the thickness, but by stacking them up slightly to the side of each other, you are able to see all three colors. 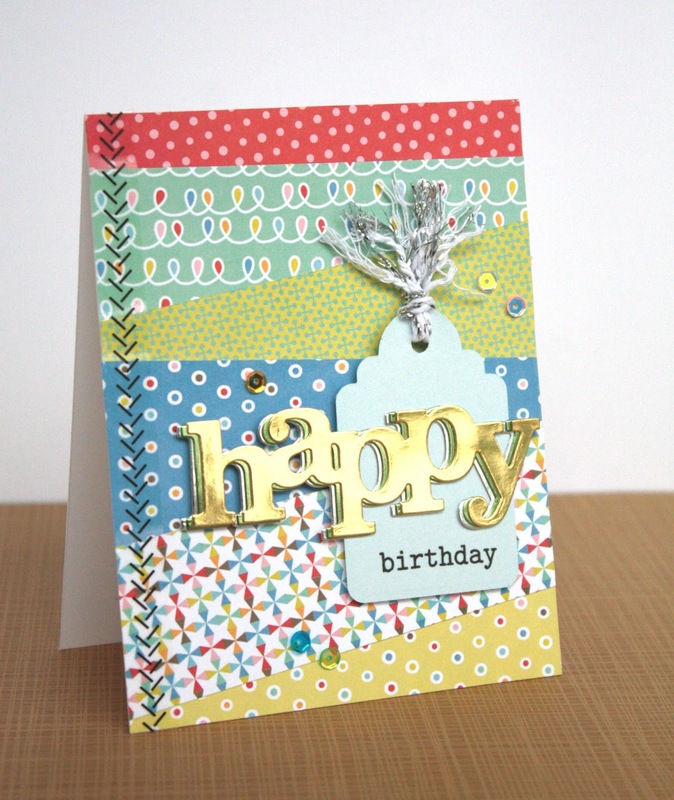 I then diecutted the tag from the Essentials:Audrey Cutaways, and stamped the birthday sentiment from The Big the Bold and the Happy Stamp Set. I finished my card off with some twine tied at the top of the tag, faux stitching down the side of the card and some sequins that came with my Winnie and Walter happy mail! This next card was created using The Big, the Bold, and the Merry Creative Screenings. 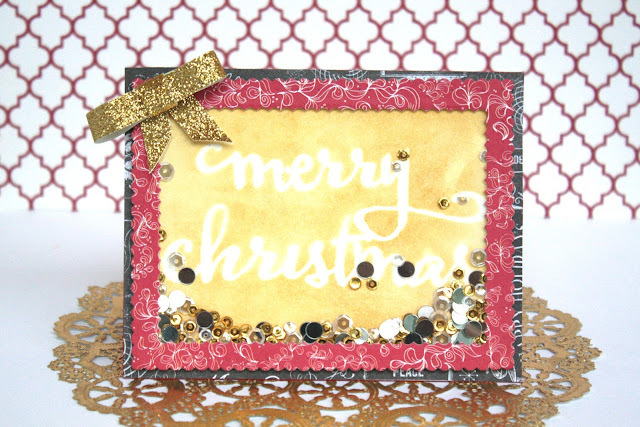 I wanted to create a metallic background for my sentiment to really pop in the shaker frame so I started by using reposition-able adhesive on the backs of the "merry" and "christmas" creative screens. I then used a gold metallic ink and applied it to the entire background with a blending tool. I carefully removed my screens and had a nice negative of my sentiment. Next I used the Essentials:Audrey Cutaways to create my frame with patterned paper, adding various sequins including 4 mm Metallic Gold Cupped Sequins, and 6 mm Sparkling Clear Sequins by Pretty Pink Posh which can be found in the Winnie and Walter Boutique to create my shaker element! I added a sparkly paper bow to the corner as a finishing touch. I am so excited to show you this last card as it has a lot of firsts for me on it! For one the background was diecut with household aluminum foil, which was so fun to try! (Warning make sure you pull the die cut out gently as the foil is very fragile and thin to work with.) Then I was trying to think of what else I could do with this cut, and how to add some color when embossing popped into my mind. So that's what I did! Using the In Bloom: Lola's Bouquet with Joni Andaya Stamp set and a watermark ink pad I embossed and double embossed various images for a fun floral design. 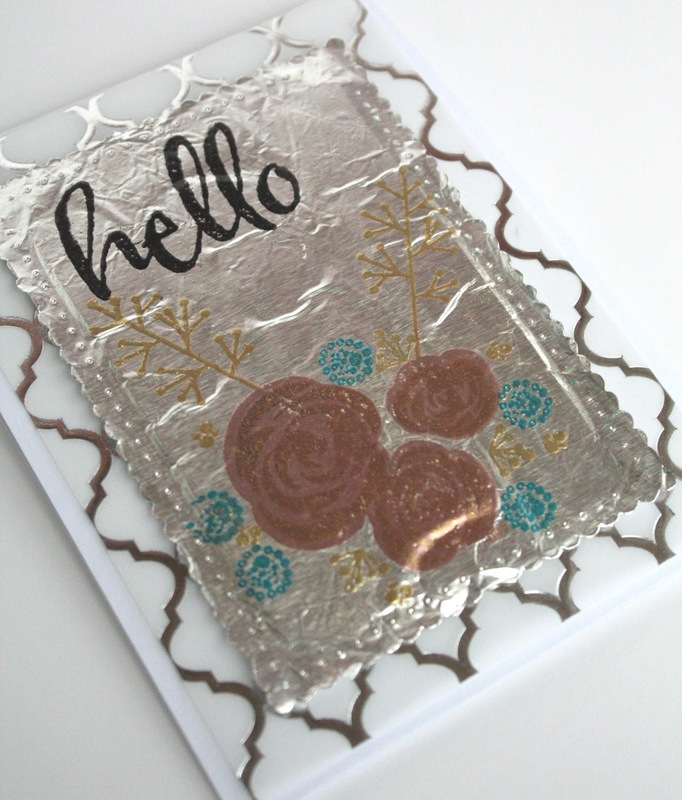 I then stamped and embossing my "hello" sentiment from The Big the Bold and the Happy Stamp Set. Finally, I propped it up with foam adhesive onto a panel of vellum with foil before adding it to my cardbase. I wish you could see the beauty of this card in person, the shine of the aluminum and the layers of embossing are just gorgeous! Anywho, I hope I was able to capture just a little of its beauty for you to envision the real look of it! I want to end my post with a warm and most sincere thank you to both Shay and Julie for shining the spotlight on me. I have had an amazing time just playing and having fun with lots of Winnie and Walter products, and I know I will continue to do so for a long time to come. You both are so welcoming, warm, and encouraging that you make the crafting community a better place. Many hugs for you both! I must also thank Winnie and Walter for letting me come on this blog to play! And finally a heartfelt thank you to you for stopping by and visiting my work, your kind words have been so motivating and appreciated. These are all pretty, but I especially love the quilted look of the first card!! 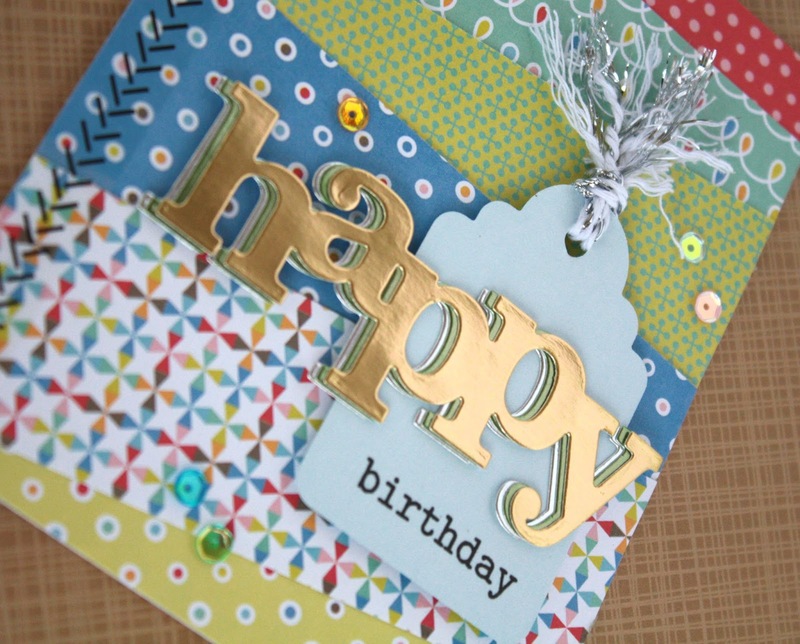 Fabulous cards with great metallic touches! How creative to use aluminum foil! Thank you Lindsey! Your comments really made my day! Looking forward having some metallic adventures with you, excited about giving the kitchen foil a creative time => THANK YOU for sharing!! !